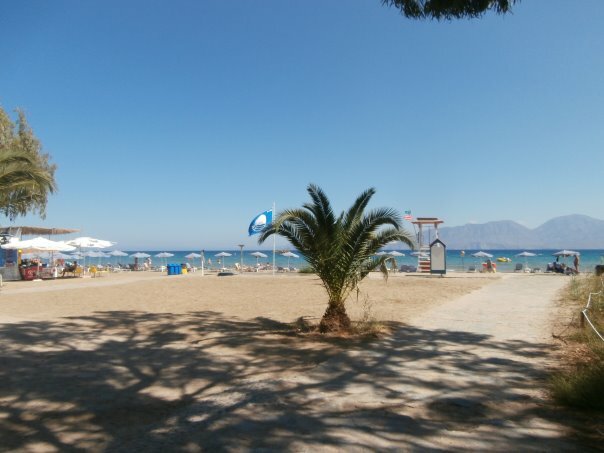 Almyros (or Almitros) beach is located approximately 2,5km south of Agios Nikolaos town. 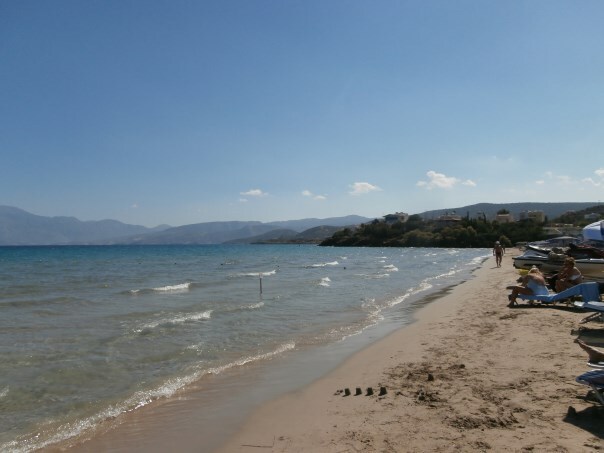 The long beach lies within a cove, at the mouth of the homonymous river. 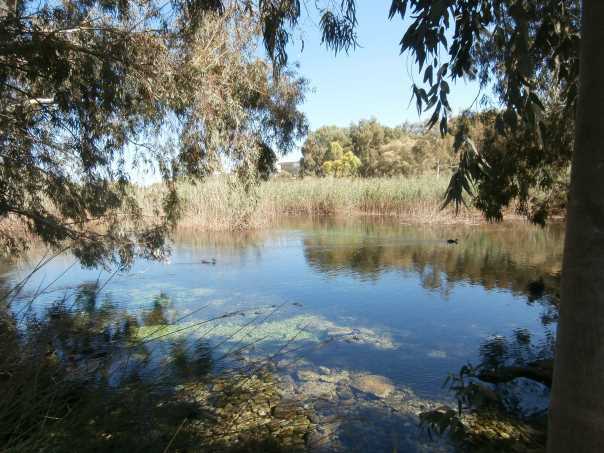 Almyros river flows all year, forming an important wetland with eucalyptus trees, palm trees and aquatic birds. 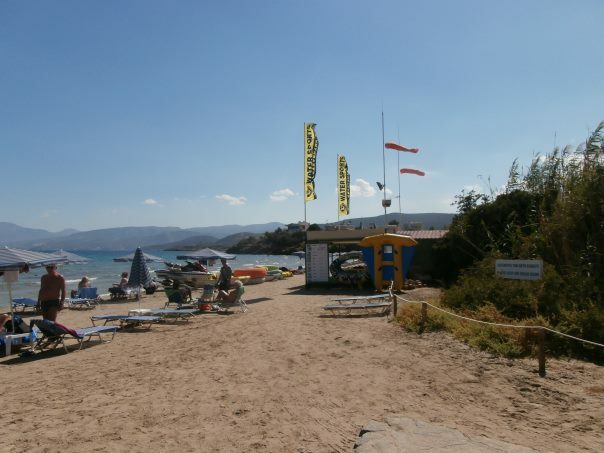 Umbrellas and sunbeds, showers, changing rooms, lifeguard, water sports, parking, cafe, snack, canteens, beach bars, restaurants, tavernas, accommodation, mini markets. The water is icy cold at some parts due to the river which flows all year. 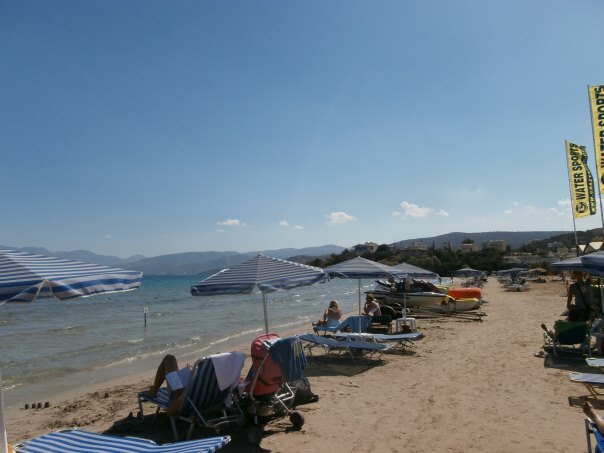 The beach is quite large and set in a sheltered bay, well protected from the winds. 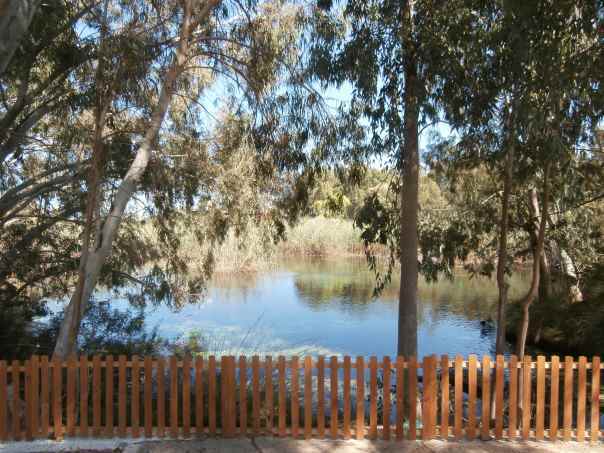 Its shallow waters are ideal for families with small children. 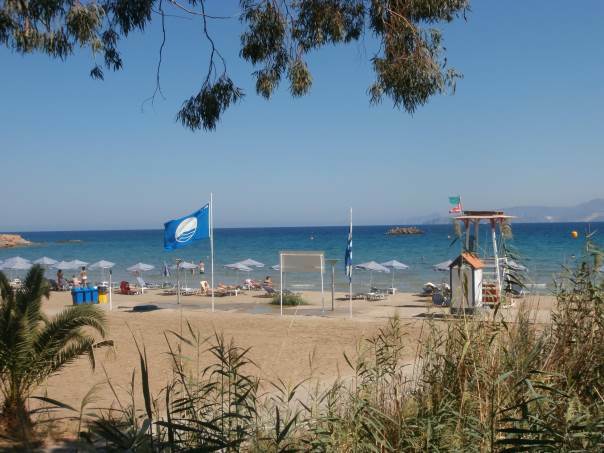 Almyros beach is easily accessible from the centre of Agios Nikolaos by private cars and local buses, even on foot by taking the pathway which starts from Gargadoros beach, 5 minutes south of the town’s marina. 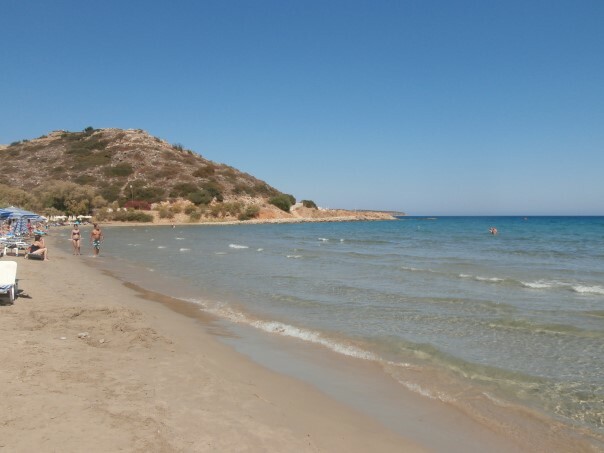 If you choose to drive from either Agios Nikolaos or Sitia, follow the national coastal road connecting the two towns and you will find Almyros beach along the road.